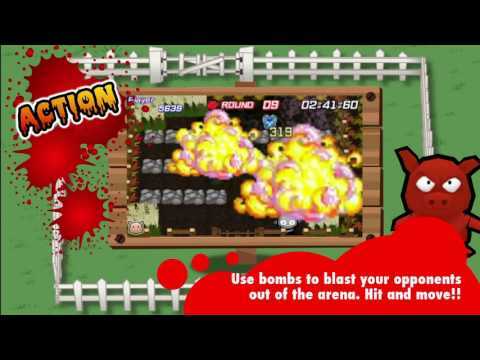 Psycho Pigs is an arena-based bombing action game based on the Jaleco original! 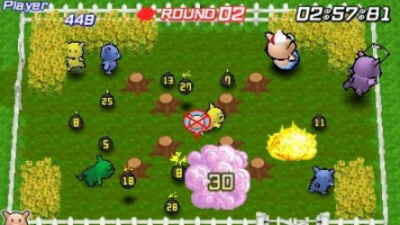 The aim of the game is to hit your opponent and avoid taking damage. Use the arena's properties to your advantage – hide in the bushes and sneak up on your foes. There are a wide variety of bombs and power-up items that you can use to mix it up, as well as various customisation possibilities! A number of multiplayer modes allow players to compete against one another or work co-operatively via Local Play or even online*. Four players can duke it out for supremacy, while two can team up and work together. Psycho Pigs is back and this remake certainly honours the original with its simple and very fun concept, its humour in all levels and overall loyalty to a game from nearly thirty years ago.